The ultimate in luxury, concierge service, design and comfort. 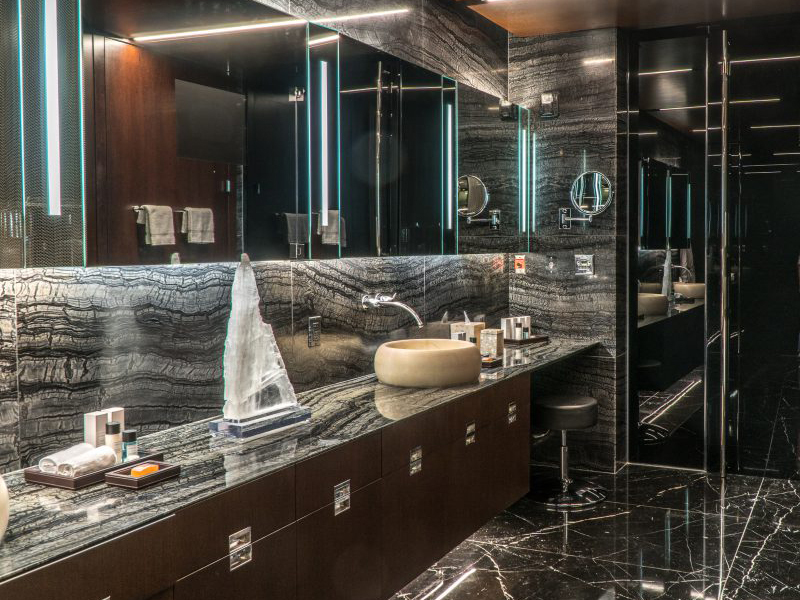 From celebrity stays to high-roller relaxing, the one-of-a-kind One 80 Suite is magic. 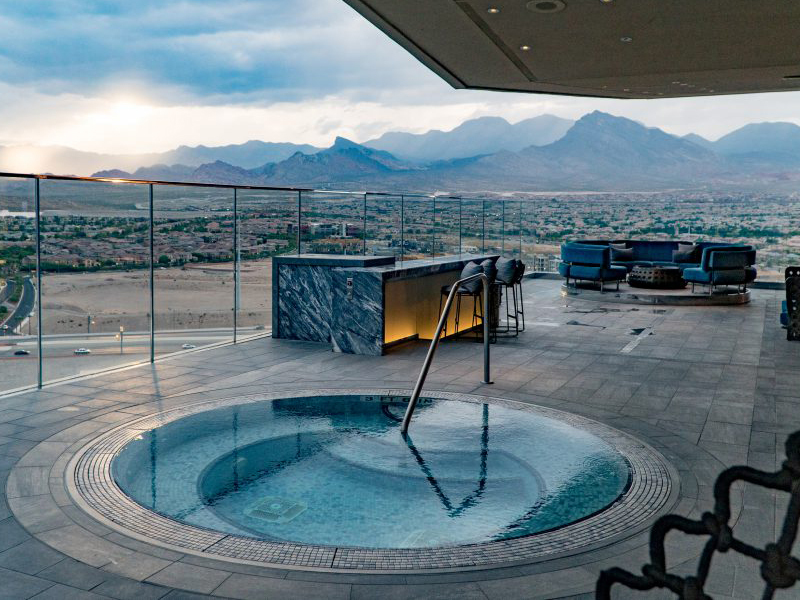 Housed at the top of Red Rock Resort, the 7,500-square-foot suite is something you have to see to believe. 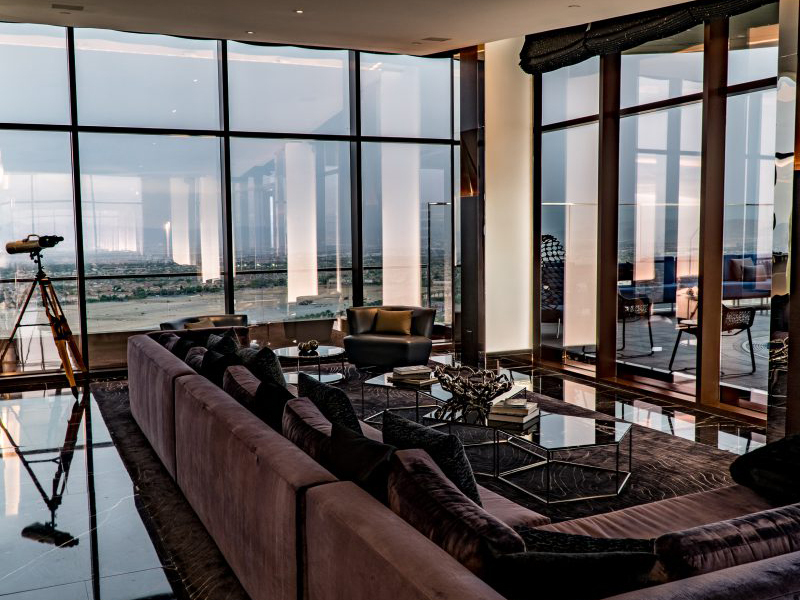 Designed with ultimate entertaining and luxury in mind, the incredible penthouse suite offers 180-degree views of our fine city, as well as the glowing Red Rock Canyon. 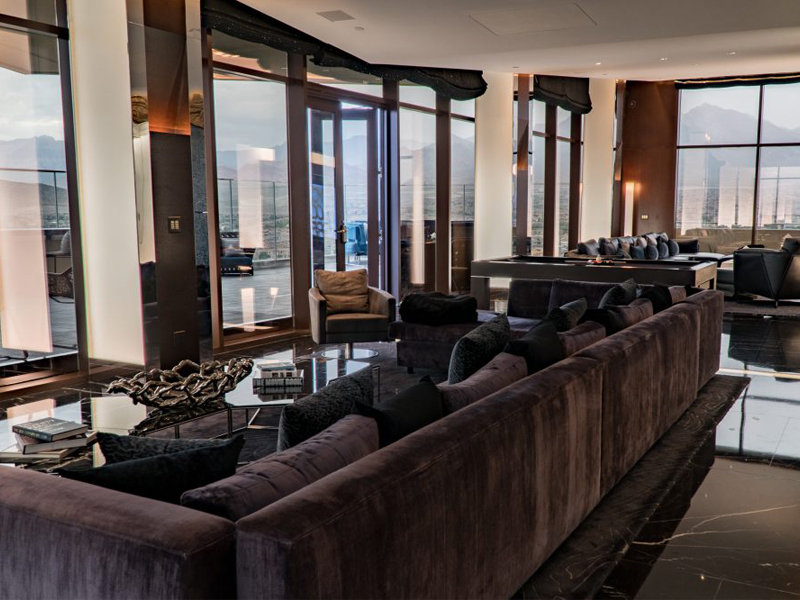 Our piece de resistance is the most impressive luxury suite in all of Las Vegas. This 7,500-square-foot, two-bedroom suite features modern appointments, plus unbelievable views of both the Las Vegas Strip and Red Rock Canyon National Conservation Area. Luxury amenities include a massive private patio with a huge outdoor Jacuzzi® tub and a full bar with seating for four. But back inside, things get even more interesting. The One-Eighty Suite’s enormous parlor is Sin City’s finest, featuring an entry corridor and foyer with stunning black marble throughout. In the massive living area you’ll find entirely modern designs, like a lush sofa and 42-inch high-definition plasma TV, along with a dining table with seating for 12, a large bar with 10 bar stools, and additional seating for at least 20 private guests. A second seating area with a large sectional sofa and an incredible pool table ensures there’s room for the entire party, while the upgraded surrounded sound system and iPod docking station provide an array of exciting opportunities for entertainment. For that night when a live show just won’t do, you’ll be equally amazed by your own in-suite theater area, with its large modern sofa and massive 108-inch high-definition plasma TV with DVD player. The only screen bigger than ours is the one at the movies. A full Creston Audio, Visual and Lighting Control System allows you to set just the right tone for the night. But better yet, this suite was built to sustain, with an in-suite microwave, Sub Zero fridge, butler service paging system, and service pantry with its own separate entrance. This luxury suite’s master bedrooms meet even the finest of standards, with plush down duvets, pillows and ultra-soft, 320-thread count Egyptian cotton linens. The 42-inch high-definition plasma TV with DVD player, high-speed data jacks, Bose® radios on the nightstands, in-room safes, full-length mirrors, and motorized drapes add a touch of modern elegance, sparing no expense in the amenities department, while the in-bedroom Jacuzzi® tub and fireplace allow you to create just the right mood for an indulgent yet elegant night in.